Before Battersea Power Station, there was Dream City. Well, nearly. This whimsical example of Unbuilt London was meant to appear in 1908 on the site later occupied by Battersea Power Station. At the time, the 15-acre plot next to Chelsea Bridge was a disused waterworks that an American developer thought would make the perfect location for London’s answer to Coney Island’s Dreamland. He would construct an open-air pleasure palace that would feature exotic rides, charming gardens and sundry other entertainments. The public would come in their thousands. It’s precisely the sort of spiel that was heard throughout the 1980s, 1990s and 2000s, as developers unveiled their bravura plans for the disused Battersea Power Station, insisting each time that they’d finally hit upon the perfect solution for the isolated, tumbledown relic. The power station had been began operating in 1933 and stopped producing electricity in 1983, after which it was sold to private developers following a fudged competition. One of the first owners wanted to turn the building into a theme park just like Dream City, a London sibling to his own Alton Towers, with a host of thrilling rides crammed inside the brick shell. Margaret Thatcher, wearing a hard hat and wielding a massive laser gun, attended The Battersea’s naming ceremony in 1988 promising great things. The scheme soon fell apart. As did that earlier plan for Dream City, despite it getting plenty of publicity and the approval of the LCC. Dream City was the brainchild of American engineer John Walter Frink Bennett, working alongside Canadian architect Francis Swales. They’d met in London, where Bennett had worked on the Ritz and Waldorf hotel as well as several Underground stations. Swales would later consult on the great beaux-arts frontage of Selfridges department store. Dream City was going to open in May 1908. 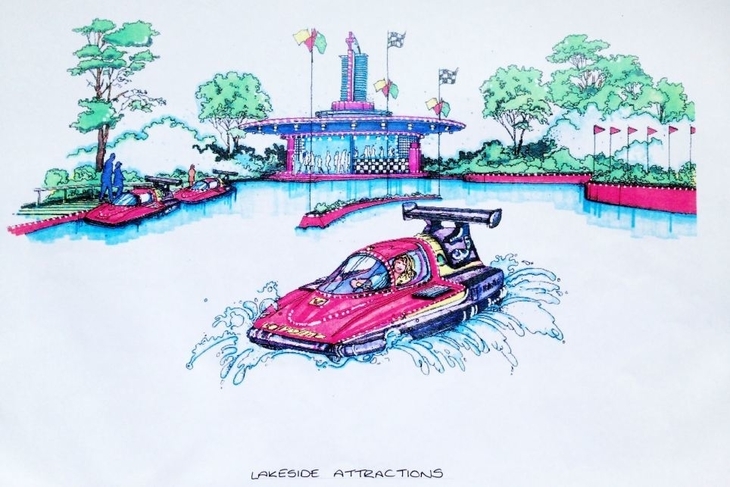 It would feature lakes, rides and promenades, an illuminated tower, and the tasteful-sounding “Esquimaux settlement” and “midget village”. As plans held in the London Metropolitan Archives show, it was very much in the spirit of the times, carrying something of the atmosphere of a World Fair, with dramatic permanent architecture — in this case, the gigantic central illuminated tower, like a square lighthouse, surrounded by an elegant array of ornate pavilions and gardens. There would be a roller coaster and helter-skelter, but most tantalising were reports of exotic rides such as the submarine that would take passengers beneath the lake to gaze on “weird ocean monsters, wrecks and divers”, and a subterranean roller coaster that would carry riders along a track populated by ghosts, animated skeletons and a cave featuring “strange reptiles [that] will crawl across the track in front of the car”. The site would be illuminated by one million electric lights. 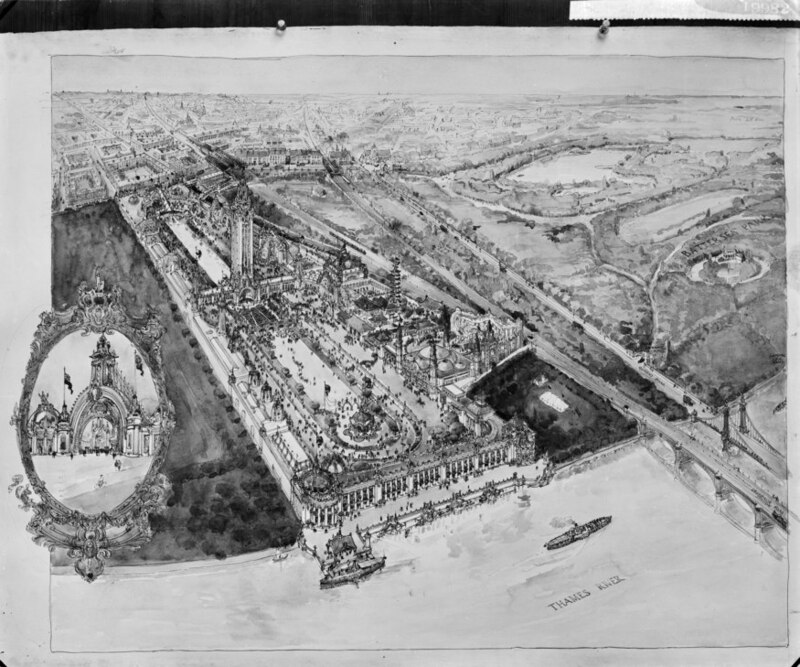 Dream City was never built, possibly scuppered by similar but more advanced plans for the Franco-British Exhibition, which opened at White City in 1908. Bennett returned to New York where, ironically, he served as acting commissioner of water supply. 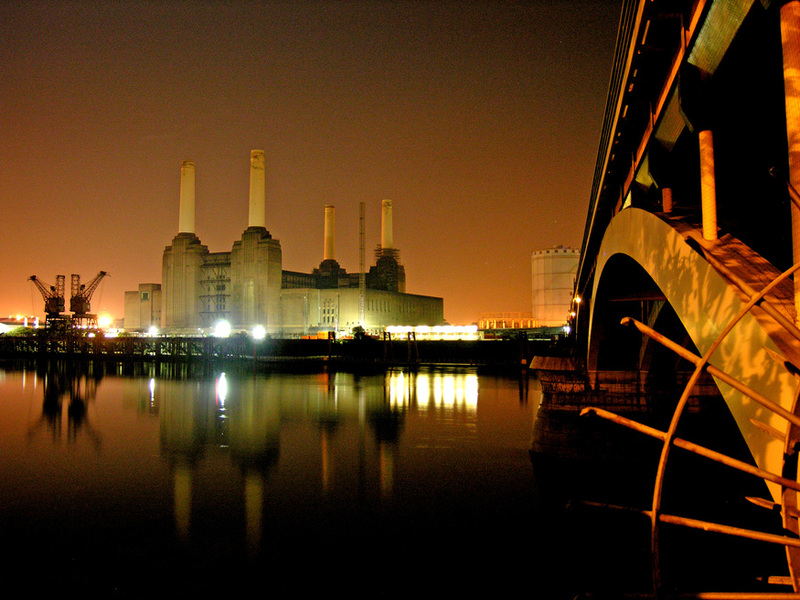 The Battersea waterworks remained derelict for another twenty years until work began on Battersea Power Station, a building that would eventually bring light to not just 15 acres, but half of London. But the vestiges of Dream City never entirely left this industrial corner of Battersea. As a working power station, the building was regularly incorporated into the fantasy of film and TV, providing a memorable backdrop for album covers and science fiction series. And when the power station closed down in 1983, it became once more a place of dreams, a building that people looked upon and wondered, imagining alternative uses and speculating about what might be done with its noble rotting hulk. Over the decades, ideas have included casinos, race courses, cinemas, football grounds, mosques, managed ruins and museums. In one short spell, it was going to become a giant Noddyland, a “religious theme park” (former Page 3 girl Sam Fox was tangentially drawn into this one) and, most disturbingly, a “self-contained fantasy centre” owned by Michael Jackson. All of these dreams came to nothing, dissolving in the London air like the smoke that once billowed from those four gargantuan chimneys. Now it finally looks as if something is being done about Battersea Power Station, although how many Londoners dream about another development of luxury flats is open to debate. A Malaysian consortium seem to be succeeding where so many have failed, constructing a dense collage of flats, hotels and offices around the power station itself, which, after it is finally renovated and restored, will be turned into a giant shopping centre spotted with flats, offices and leisure facilities. They call it an urban village. It’s certainly not Dream City. Up In Smoke: The Failed Dreams Of Battersea Power Station by Peter Watts (Paradise Road, £20) is available now.